Why buying in the fall is SMART! New 2019 model boats are starting to fill our showrooms with stellar new tech features, practical creature comforts and eye-catching color options conceived to deliver the perfect boat to you and your family. But the model year changeover doesn’t just signify new, exciting 2019 models and technology, it marks a reset in the calendar year for boat buying that everyone should be aware of. If you’re considering a boat in the future, read below to see what savvy boat buyers are doing to get the most out of their purchase. 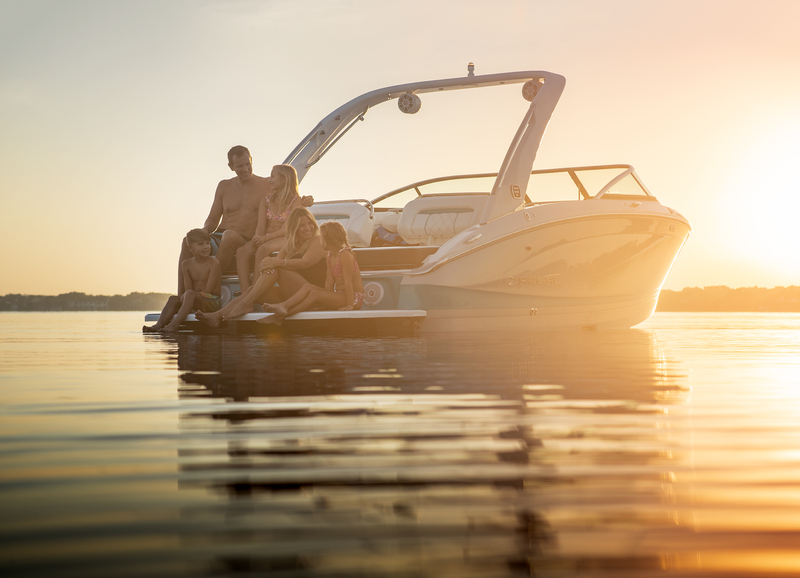 What's the best time of year to buy a boat? The short answer, fall, and here’s why. Boat manufacturer’s employ hundreds of workers to handcraft each and every boat. In order to streamline production, raw material purchasing, and employ their skilled craftsmen throughout all 12 months of the year, manufacturers must offer the largest discounts in the fall to stimulate sales when demand is at its lowest. Fall is without-a-doubt the best time in the model year to purchase a new boat; even better than the boat show! How much do I really save by purchasing in the fall? Manufacturers offer an early buy rebate of up to $10,000* and boat show rebates of up to $5,000* to encourage preseason buyers. We are able to combine both rebates for fall buyers as well as offer a guarantee that fall prices will be the lowest price of the 2019 model year. How does buying a boat in the fall affect my trade-in value? Boat buyers that purchase in the fall receive a higher trade-in value than those who wait until the spring or the summer of 2019 when the boat is another calendar year older. Today’s used boat values are tracking higher than NADA values, so now is a great time to get the most value out of your boat. Trading in your boat also means no fall service or storage bills for 2018. We’ll cover all your fall service and storage expenses saving you additional money. Additionally, Michigan’s tax legislation now allows owners to deduct their trade-in value from the new boat price saving hundreds to thousands in taxes on your new boat. What other benefits do I get from buying in the fall? If the idea of purchasing a predesigned, in-stock model just doesn’t cut it for you, then buying in the fall is the only way to guarantee your customized boat will be ready to hit the water in the spring when you are. Fall boat buyers are able to customize their boat colors and options, and create the boat that matches their family’s style. If you wait until boat show season, orders can get backed up until spring or even early summer. It’s hard to believe, but we’ve got one more way for you to save on your new Barletta, Cobalt, Four Winns or MasterCraft boat. As 2019 models roll into our showrooms, we’ve got to make space for them. What’s this mean for you you might ask? Our 2018’s have got to go, and the best way to move them is to put them on clearance. Take advantage of these savings while they last—key phrase being “while they last.” Click below to check out the rest of our remaining inventory.